Created by: Johny Cipher of Subscribe to my channel! What phrase makes bait flash? Flashing lights are REALLY useful in life! Anyway time to get back to the quiz! What is the wind breath spell? Sometimes I wish I had a wind breath spell! In what episode does Callum use dark magic? What is the ruin for the lightning spell? What is baits main colors? What food does Rayla bring on the adventure to Zadia? How do you spell the baby dragon? What personality does prince Ezran have? What does general Amaya say to ezran after they find the bread in the winter lodge? Oh I thought that that was a sack of clubs! Look at this! it’s food...ish. When does a thunder dragon lay their egg? 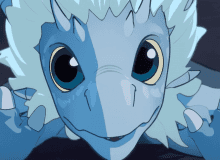 what is the company that produced THE DRAGON PRINCE? What does Ezran say after he got broken out of the ice in the episode "Through the ice"? "UUGHHH my toes are frozen!" "I-i-i-i think I've got a case of the frosie tosies"
what ends up cutting of rayla's moon band? Quiz topic: How well do I know the dragon prince?